Flex Tubs are ideal for use around the garden, home and even on the building site, farm or stables. 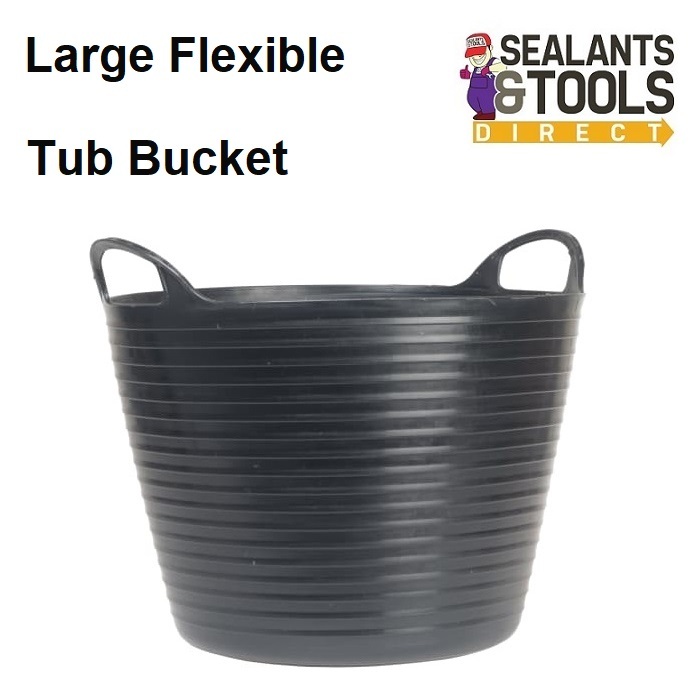 Lightweight, heavy-duty polyethylene, flexible tub features super-strong comfortable handles and is ideal for solids and fluids. This large capacity flex bin in black is extremely flexiible storage tub. Durable and hardwearing plastic, perfect for all sorts of jobs around the garden home and worksite. Large capacity for mixing or rubble rubbish or garden waste transfer. Can also be used for planting. Environmentally friendly Flex Tubs are manufactured from 100% recycled material and are 100% recyclable.